around the microclimates of Bethel Island and East Contra Costa County lowlands vary with each season. Ocean tidal waters meet the fresh water of the Sacramento and San Joaquin Rivers, attracting a wide variety of birds and wildlife to the many micro-climates along the Pacific Flyway. Over 300 species of birds are residents or migrate through this part of the Pacific Flyway in the spring and fall or stay during the summer or winter to perform mating rituals, nest, raise young, roost, feed and some appear to have retired here. Tidal wetlands and Delta island habitats create infinite and changing micro-climates suitable for a wide variety of species. Islands, Rivers and Sloughs are forested with grand native trees - Cottonwood, Poplar, Black Walnut, Oak and Willows. Bushes, berries and smaller fruit trees are everywhere. The tulle fields, vernal ponds, cattle pastures, fields, bogs and of course the levee created farmland are great habitat for the fast disappearing Long-billed Curlews. Sandhill Cranes prefer to feed in harvested corn fields and vineyards that do not have trellises' which prevent great wading birds from landing. September is the beginning of the Pacific Flyway migrations. Delta sights and sounds are changing. Young Swallows and male Grosbeaks begin migrating in September or before the Santa Ana winds begin. Since Swallows eat thousands of mosquito's and will be gone for the winter, be sure to wear mosquito repellent whenever you are outside. I noticed this morning the birdsong has changed. 6 or 7 Foresters terns noisily flew by. A male Ring necked Pheasant quietly strutted along the new levee construction & weir on Stone Road. 2 flocks of Mallard ducks and 1 flock of geese flew in close formation with the sunrise. A small family of Bushtits moved along the levee grass and bushes feeding. The family of Hooded Orioles must have already left. The Pacific Flyway migration has begun. The Barn Swallows sing loud and excited, gathering in larger groups lately. I have not seen them gather with Tree or Cliff Swallows since late August, which is what they do before the migration begins. Blackbirds fly close together in late afternoon before settling to roost in the tules . It is windy, 70 degrees and it rained yesterday. I see 14 to 35 Sandhill cranes fly north every morning from roosting areas south east of here. This afternoon there were 4 Cliff Swallows flying west along Piper Slough, south Bethel Isalnd. Blackbirds gather in larger flocks and flying in close formations over the tules, a dance in the air. 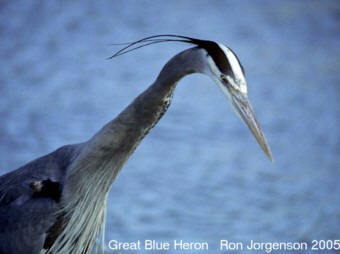 Great Blue Herons are often seen gliding to new fishing areas. Great Egrets follow them along the slough, then Snowy Egrets and Green Herons. Thousands of American Coots will be on Franks Tract from late October till mid-December. You can find many Ruby-crowned Kinglets flying from tree to tree eastwards in mid-December. Woodpeckers, Bushtits, Willow Flycatchers, and Oregon Juncos are in the great Willow trees that line the roads. White Tailed Kites, Red-shouldered Hawks, Red-tailed Hawks, Prarie Falcons, Northern Harriers, Co opers Hawks and Swanson's Hawks can be seen hunting the fields or perched in the trees. If you see a very fast hawk look closer, it might be a Perrigrine falcon onthe hunt. 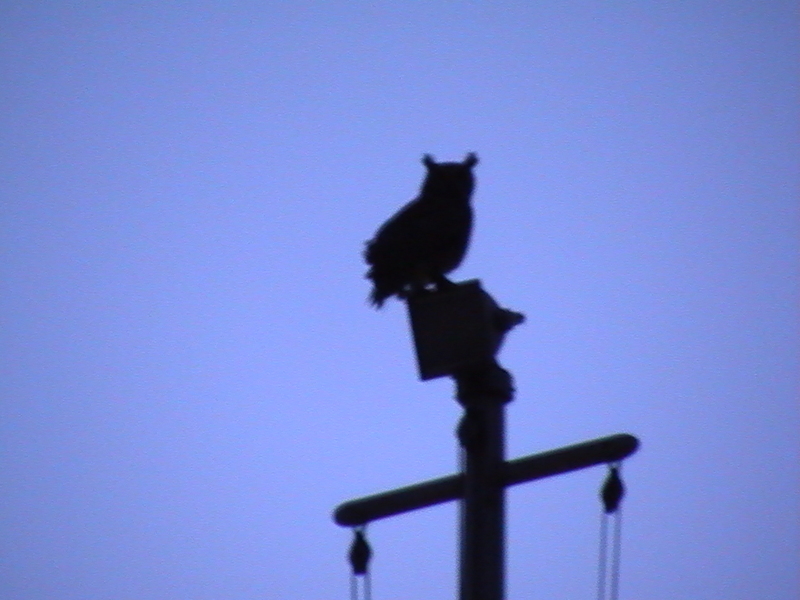 Barn Owls, Great Horned Owls and a Northern Saw-whet Owl or two can be found if you are really lucky. Burrowing Owls are more likely to be seen in fields around Brentwood and Byron. Water birds in the tules are Virginia Rail, American Bittern, Green Heron, Kingfisher, Spotted Towhee, American Coots, Common Gallinule (formerly Moorhen), Black-crowned Night Herons , Wood Ducks or the nore and more rare Western, Clarks and Pied-billed Grebes. Note that non-wild ducks and geese are around the Delta Islands because people have let loose domestic ducks and geese in the sloughs which mate with wild ducks. True wild Mallard ducks are more of a rarity. A great birding activity is to observe Gulls and Terns that fly over the sloughs and dive for fish. Don't miss the White Pelicans and Double Crested Cormorants on the sea wall along Piper Slough. A good view spot is along the sea wall from Rusty Porthole to Sugar Barge which are both on Willow Road. A birding checklist can be picked up at the newly remodeled Bethel Island Chamber of Commerce. 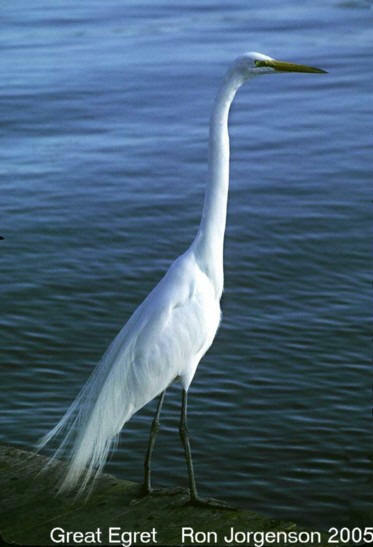 Bird Watching is a recreational activity also called Birding. This is a field activity of the science called Ornithology. The art Ornithologists use for documentation is called Scientific Illustration. Photographs, audio tapes and video are also helpful. Digital recordings may not document the entire bird song or movement although the technology is improving. A lifelong learning skill for all ages, it is easy to get started with Birding. Tools and preparation depend on what kind of adventure and documentation you want from your experience. . A trip to the Delta Science Center in Oakley, Lindsay Wildlife Museum & Hospital in Walnut Creek, Cosumnus River Preserve Visitor Center will provide information, classes and close viewing of raptors, small birds, reptiles and mammals. There are classes for all ages. The gift shops are a good place to purchase books and educational toys. Go on a field trip, take a class, attend a birding festival. This web page has links and phone numbers of places you can expand your birding knowledge and buy equipment. Birding Festivals are also a great way to find your tools and go on some field trips. Do enjoy watching the birds from a discreet distance. Do not tamper with them or their nests. Some birds will get irate and protect their nest. Use common sense and go birding with an experienced birder. A BIRDERS BASIC TOOL BOX includes Binoculars, a Bird Identification Book, a local Checklist and maybe a camera and/or sketchpad. As simple or complicated as you want it to be, it is your adventure. Mostly, get started with wearing clothing that will augment your adventure. Even at home, non-shiny, quiet, muted color clothing helps. On a trip or long walk, wear sturdy shoes, a hat, insect repellant & sunscreen. Waterproof footwear is best for some places. Binoculars (8x42), spotting scope and/or zoom lens camera. The photos on this web site were taken with low power camera and film and small digital camera. Rite in the Rain has a waterproof birding journal. BIRD IDENTIFICATION BOOKS; Many birders mark in their book when and where they first spotted a particular bird. This is a very short list of books. Dragon Flies and Damselflies of California and Dragon Flies Coloring Book by Tim Manolis, PhD creagrus.home.montereybay.com available at AMAZON and other places. BIRDING CHECKLISTS can be seasonal, competitive, County, geographic, club, country or continent. County Birding checklists can be obtained from your local Audubon Society and Birding Clubs and their web sites. A personal Life List helps keep track of many details and good locations. A Birding Journal with sketches, photographic and/or video record of sightings all help. Your lists are data collecting that can be used by Ornithologists to better understand wild birds. A Birding Life List is simply a list all the wild birds you see in the wild, including where and when. Birding journals document the birds and landscapes on your trips, which will help you remember the sighting. Cornell Lab has a Citizen Science program where you can send your observations. The link is a notepad with good contact information from 2005. "Cornell Lab of Ornithology's Citizen-Science Programs"
All Bird Bulletin for April 2005 has discussion about conservation efforts in a joint venture with Mexico. 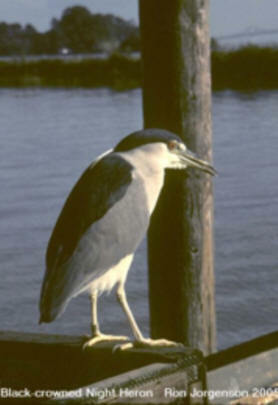 The National Zoo web site has a lot of information about migratory birds. BACKYARD BIRDING is a great place to get familiar with using your books, binoculars, checklist and journal. Landscaping your yard with native plants will create habitat for native birds and will increase your chances of close up sightings and possibly create a place for nesting birds. Bird feeders also attract wild birds to your yard. Information and assistance is available from Wild Birds Unlimited, Stokes, and "The Cornell Lab of Ornithology's All About Birds web site"
TAKE A WALK in your neigborhood and find a walking path. Brentwood and Oakley in East Contra Costa County has the Marsh Creek trail and the Delta Shoreline trail. FIELD TRIPS with an experienced guide can help you find the birds without mishap and improve your identification skills. Tools for planning a Delta birding trip include; tide tables, weather and a map that shows waterways and places with a restroom. Weather in the Delta can change from sunny to foggy, fair to drizzling or windy and rainy, prepare for all possibilities. Summer has the fire hazard of dry brush. Peat "dirt" is vegetable matter and flammable any time of year. It can also become very soft if wet. Take no chances if you are walking in it. Check the weather forecast and tide chart for your birding trip location. Tide Log & E-Z Delta Tide Tables have corrections for the Delta. Chart of Bethel Island Hal Schell's Delta Map can be purchased at many Chandleries, Parks, Marina stores & Restaurants. WEAR your LIFE JACKET A PFD will not do you any good unless you snap it on! If you're looking at the PFD or sitting on it, you are probably not wearing it! File a float plan, make sure someone has your plan and return time. Take a delta chart and road map with you. Hal Schell's Delta map is a great one. Check out the weather and tides while planning your trip and before you leave. Stop the boat before you look through the binoculars, or have someone else steer the boat. This will prevent seasickness and running into something. Sit down. Other things to know about; West Nile Virus is here. Study up. Remember, you cannot catch the virus from birds directly. Birds and other animals carry it. Swallows and Flycatchers eat hundreds of mosquitoes daily, and are beneficial to keep the insect population down. Wear insect repellant and check the web site www.westnile.ca.gov or call (877)WNV-BIRD for more information. If you find a dead bird call Vector Control and always use gloves if you must touch a dead bird. You can help by calling the closest wildlife hospital that is open or Dept of Fish & Game and follow instructions. DID YOU Know it is illegal, by federal regulation, to tamper with or destroy the nests of native birds? It is also either illegal and/or not recommended you move or transport an injured animal or bird unless instructed. 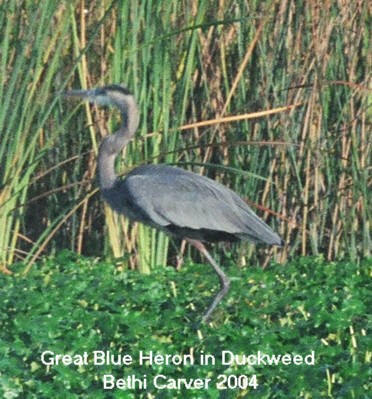 My hope of this web site is to help you get started enjoying birdwatching in the Delta safely and easily. Mail to Bethi Carver P.O. Box 2022, Bethel Island, CA 94511.